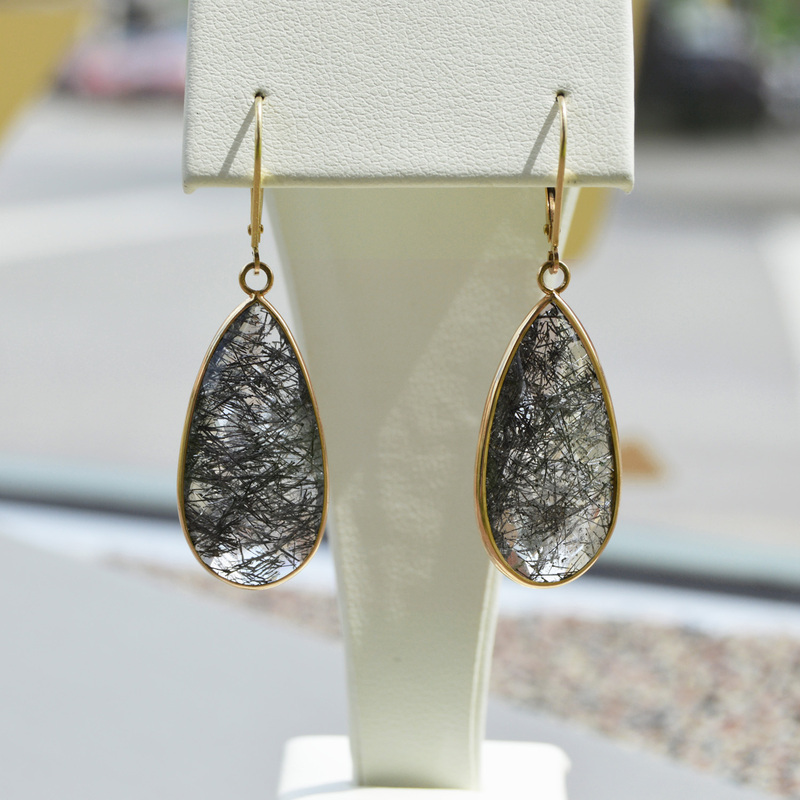 Peek inside our jewelry cases! 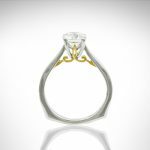 We carry a variety of hand-selected rings, earrings, pendants, and bracelets in 14Kt white, yellow, and rose gold. 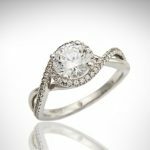 We have a wide selection of diamond jewelry and colored gemstone jewelry. 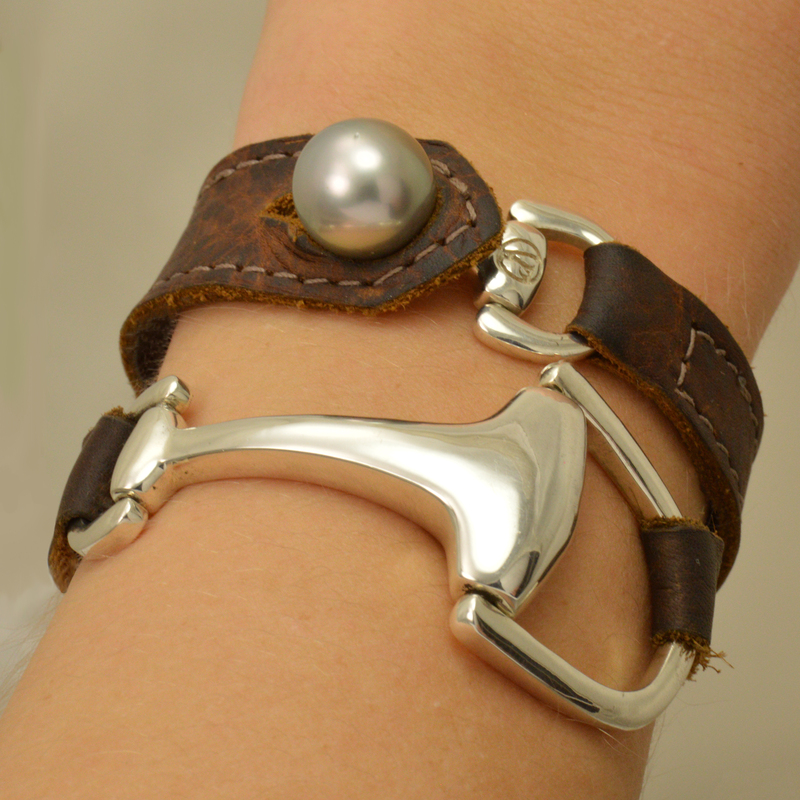 This designer, equestrian styled sterling silver and leather bracelet has a Tahitian pearl clasp. 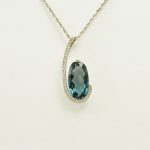 This London blue topaz is set in a 14Kt white gold setting with diamonds surrounding the gemstone. 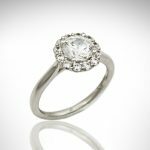 A classic choice- this Gabriel Engagement ring is a beauty! 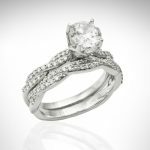 This beautiful wedding set by Carizza features a round center stone (shown with one carat stone, but available in other carat weights) and accented by twisting rows of pave set diamonds. The matching band finishes the look! 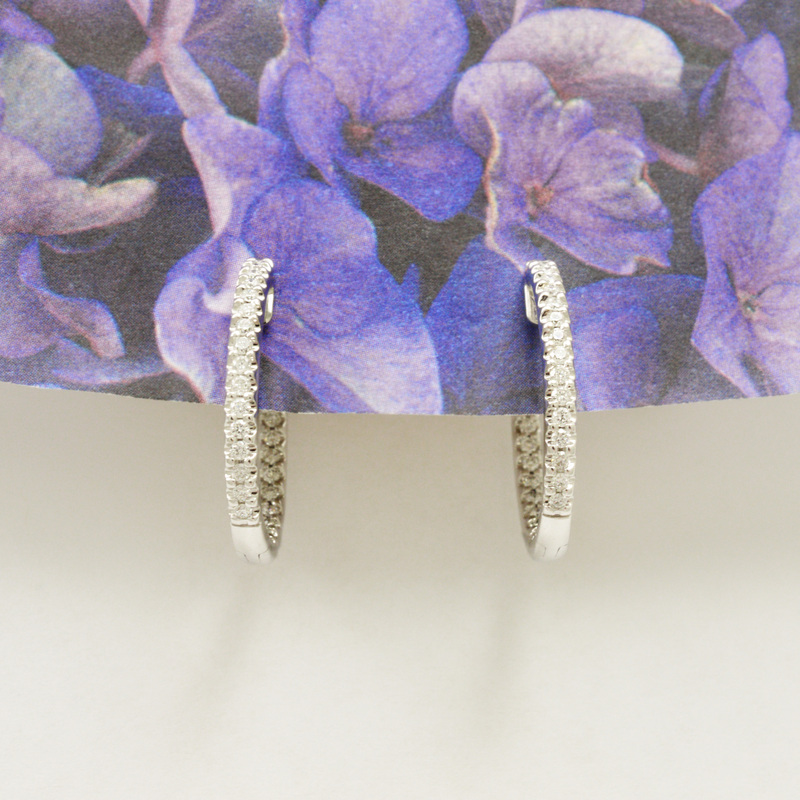 These classic 14Kt white gold hoop earrings are covered in high-quality diamonds on the front and the inside so that all you see is sparkle! These 14Kt yellow gold earrings dangle with teardrop-shaped rutilated quartz with a faceted surface for added sparkle. 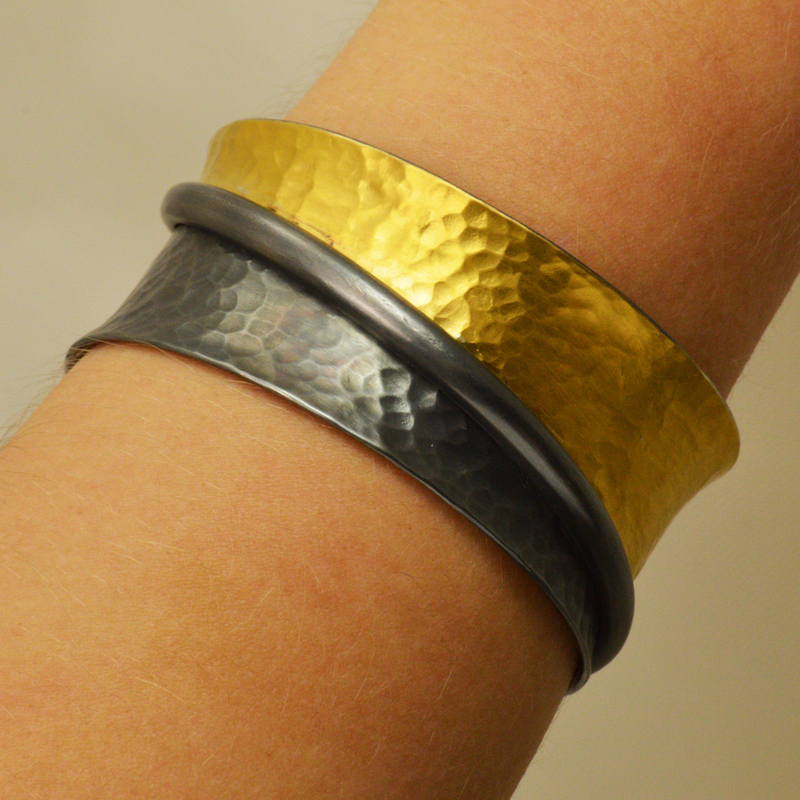 This designer bracelet has oxidized sterling silver and 24Kt gold that has been given a hammered finish. 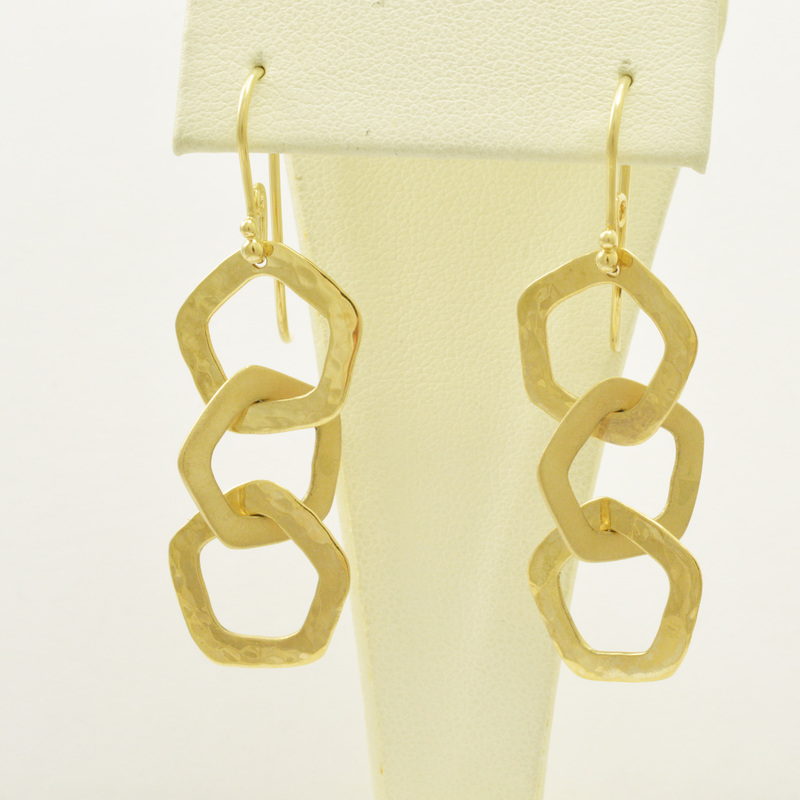 These 14Kt yellow gold earrings have alternating hammered and brush finish. They have a unique design and add to any outfit. 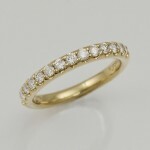 A classic anniversary band in 14Kt yellow gold with high-quality diamonds. 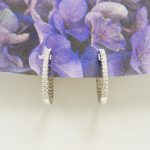 We also stock other popular items such as engagement rings, wedding bands, bridal jewelry, anniversary bands, diamond studs, birthstone jewelry, hoops & huggie earrings, cross pendants, gold and silver chains, stackable rings, and pearls. If any of these pieces inspire you, contact us about designing a custom piece!